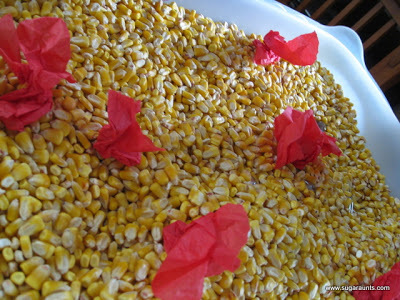 Sensory bins are such a fun way to learn and play. 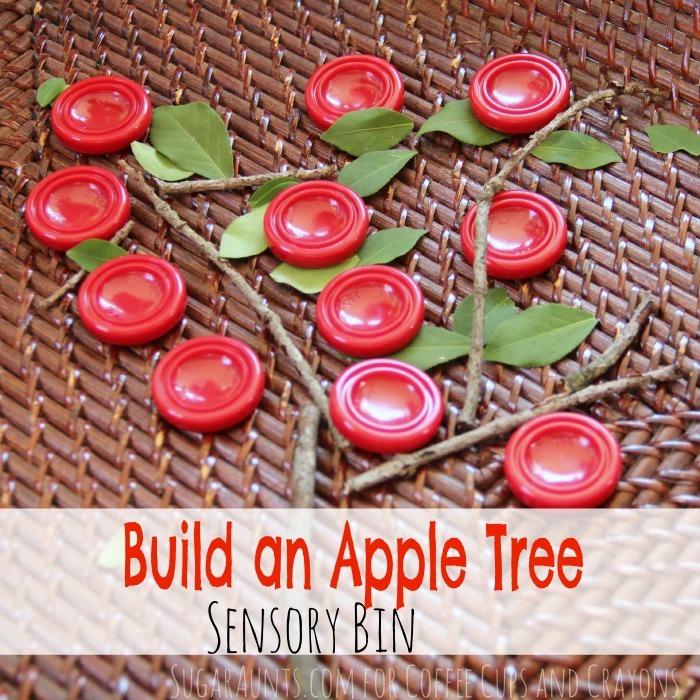 This apple tree sensory bin is perfect for talking about colors while exploring nature. We worked on building our own apple tree with pieces from nature. We started with a low tray and went on a walk around the yard, collecting sticks and little leaves. Snapping the twigs was such a fun activity for my Little Guy (age 5). That satisfying *snap* of the sticks was maybe his favorite part of our sensory bin play! I gathered the red pieces from our Checkers set and added them to the tray. 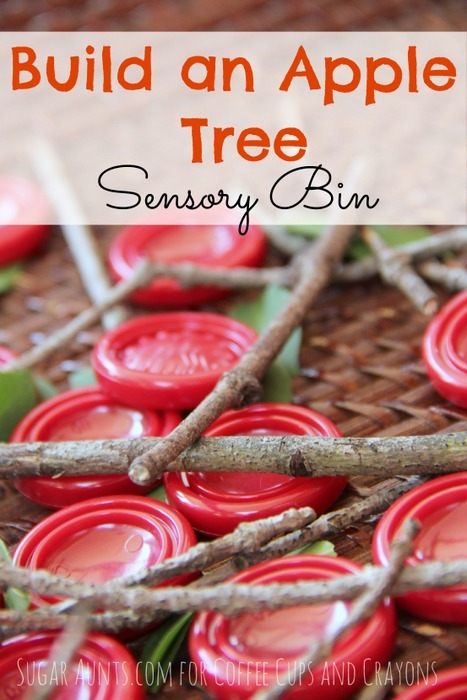 This sensory bin is as simple to set up as it is fun! We worked on building an apple tree with the twigs. We added the leaves and apples all around the tree. 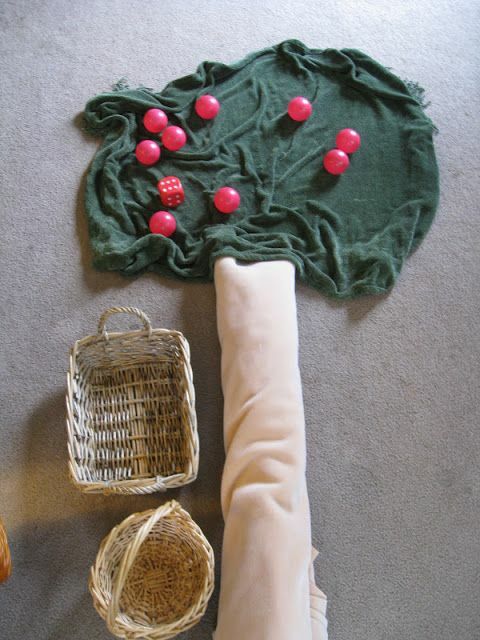 Be sure to count the apples and “pick” some from the tree to sneak some math in your play! We mixed our tree up with a swoosh of the hand and started all over again! 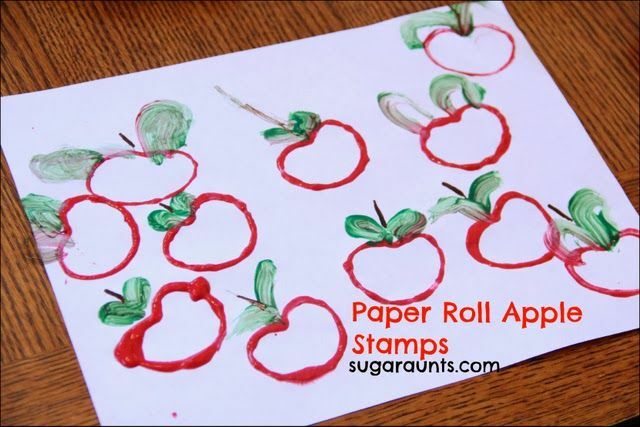 Finish off your apple sensory bin with a snack of apple slices. That sounds like the perfect way to spend an afternoon with the kids! all things creative in motherhood. They love playful learning, creative kid’s crafts, sensory and fine motor activities, kid’s party themes, DIY, and so much more. Between the three Aunts, there are 8 cousins who are around each other so often, they are more like siblings than cousins! You can see the action at www.sugaraunts.com. Follow along on Pinterest, Facebook, Google+, Twitter, and Instagram. Colleen is one of three sisters who make up the Sugar Aunts. We love to blog about all things creative in motherhood! Between the sisters, there are 8 nieces and nephews who enjoy the crafts, activities, recipes, play, and fun of Sugar Aunts! What a great way to use materials that moms already have on hand. This would definitely be a fun experience for children! Pinned!